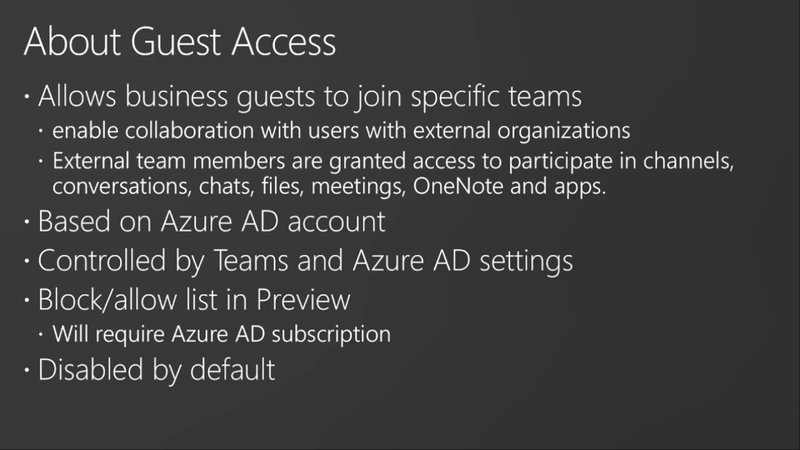 In this session we talk through all the steps required to get started with Microsoft Teams – how to license and enable users and how to prepare your environment. We also address the different configuration options to ensure that you set up your tenant in a way which meets your needs. Sew after talking to the TCF folks, we should probably evaluate Teams as part of our overall collaboration strategy (even if only for ruling it out). 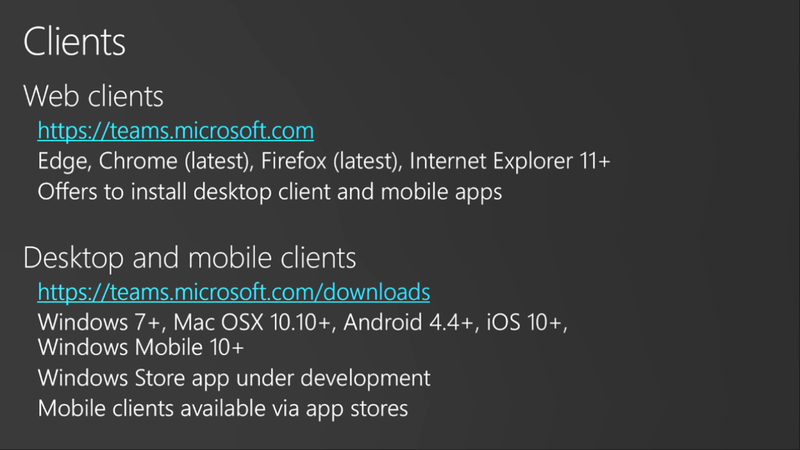 They utilize Teams at TCF for many purposes that we currently leverage email. 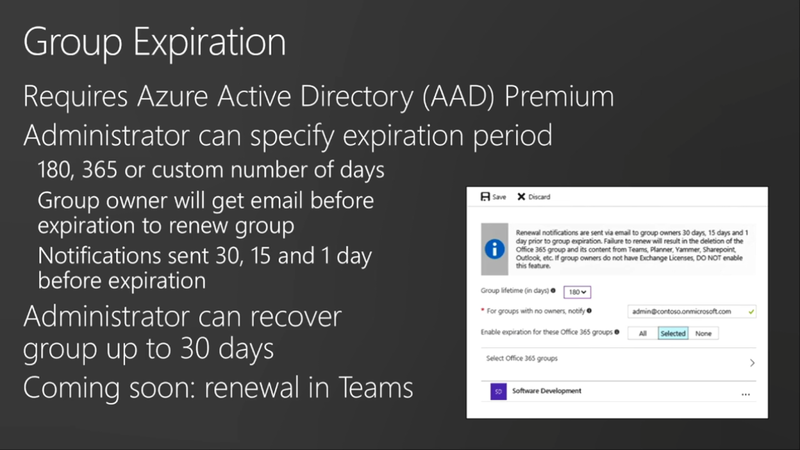 I feel like if you commit as an organization to the whole Microsoft 365 experience, Teams will be at the core of that (at least from Microsoft’s strategy perspective). 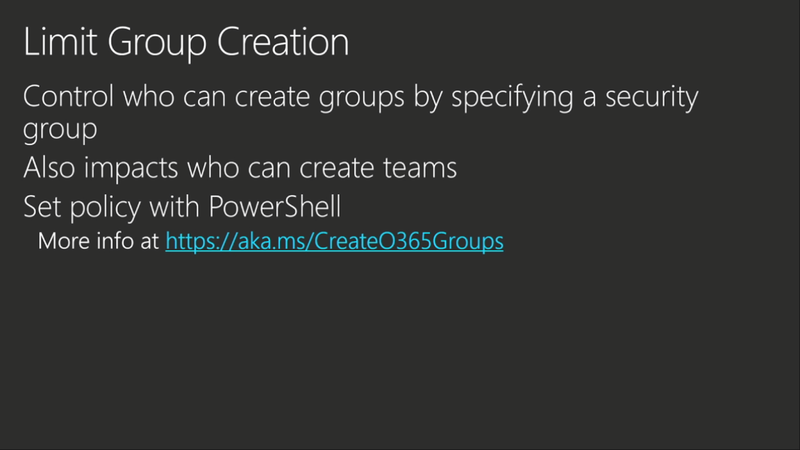 The slides contain the pertinent links to the PowerShell scripts to limit O365 group creation. 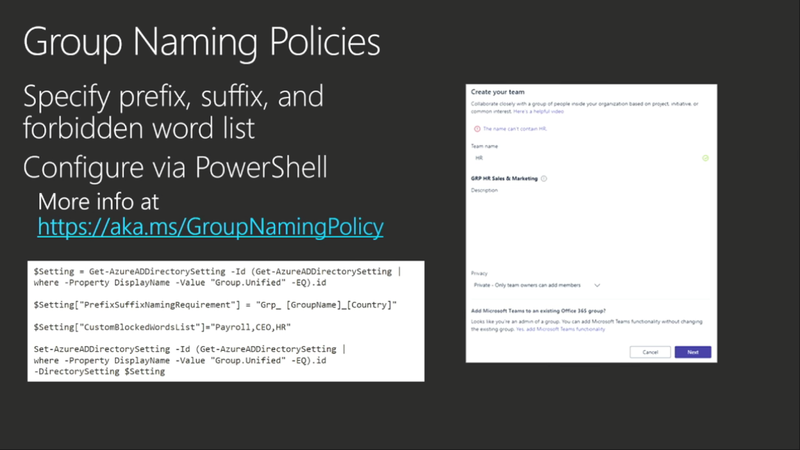 That was alluded to in a previous session, but they were kind enough to link them here. 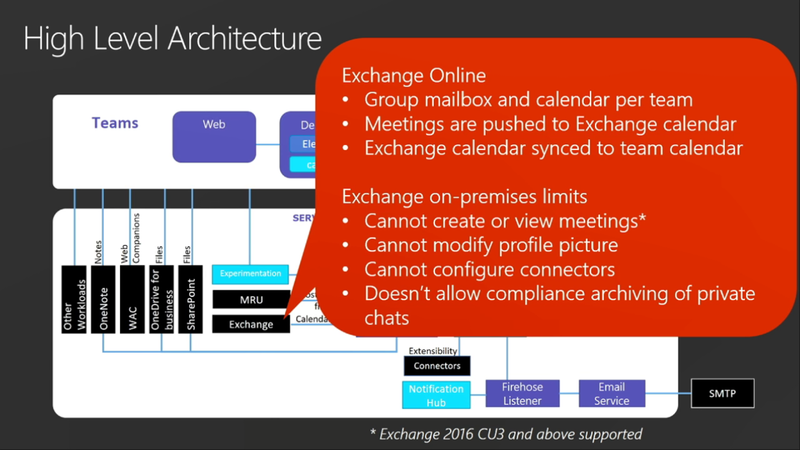 The Teams experience is heavily reliant on Outlook in the cloud, so it would be impossible for us now. 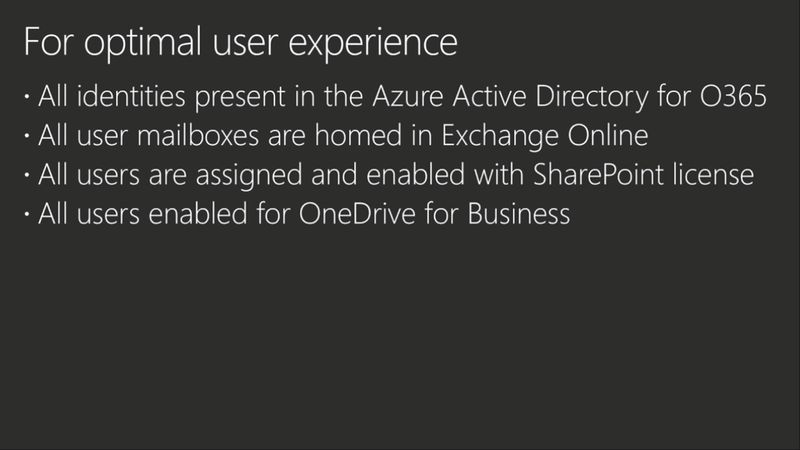 But it is yet another indication of how important Outlook in the cloud is to a successful MS 365 experience. Without it, the experience is very “choppy”: some things work, some things don’t. 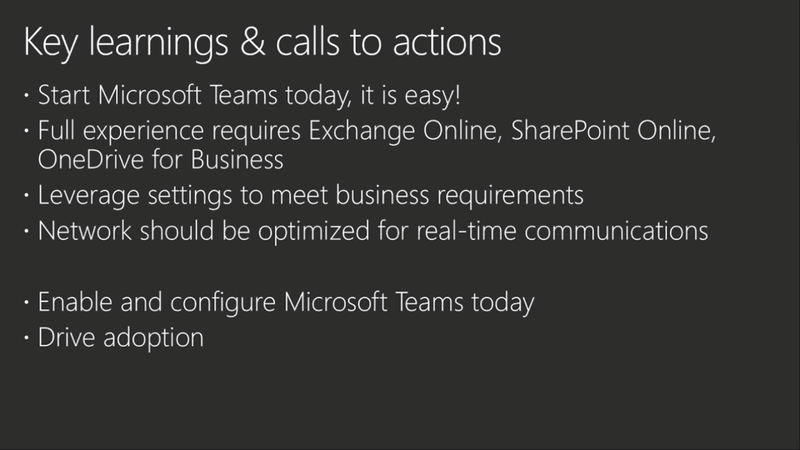 Rather than using MS 365 as a singular collaboration platform, we’ll be using it for point solutions for collaboration. 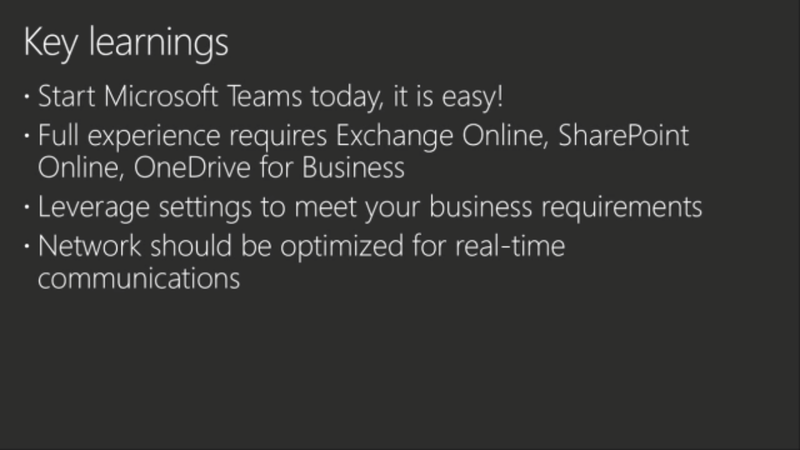 ← Tuesday 9/26 – Can I get a side of OneDrive for Business with my SharePoint?